"Eskimo Eskapades" Too has many more coordinating background papers to choose from when creating your scrapbooking layouts and cards. Kind of like more snowflakes to help build the snowman of your choice! These digital background papers are NOT included in the FQB "Eskimo Eskapades" Collection, so please don't miss out! 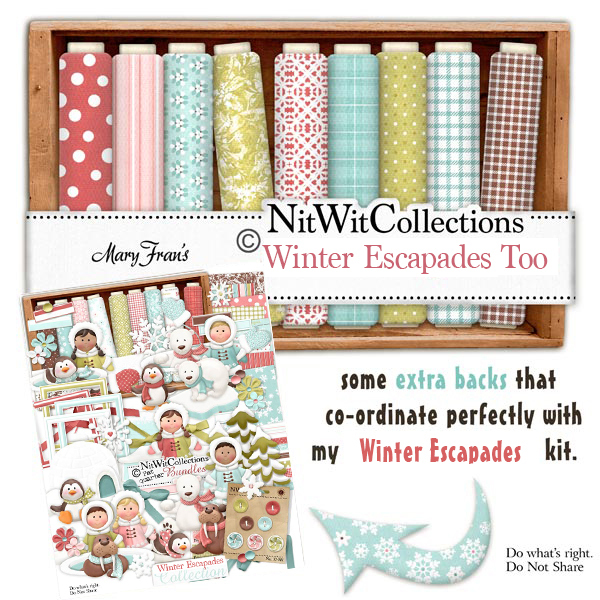 11 digital background papers that coordinate and colour match my "Eskimo Eskapades" Collection.